Teacher was good. Market was good. Time was a little bit rash for cooking 5 dishes. It as better to have more time on finishing the meals. 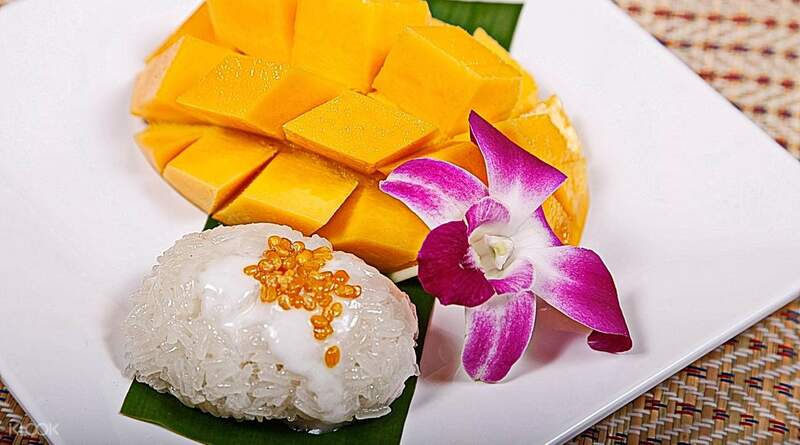 Learn how to cook authentic Thai dishes in a fun and professional environment at the Phuket Thai Cooking Academy. Prepare your dishes under the guidance of expert chefs and enjoy a beautiful mountain view as you work away on your masterpieces. Choose between a half day (morning or afternoon session) or full day class and let the adventure begin! 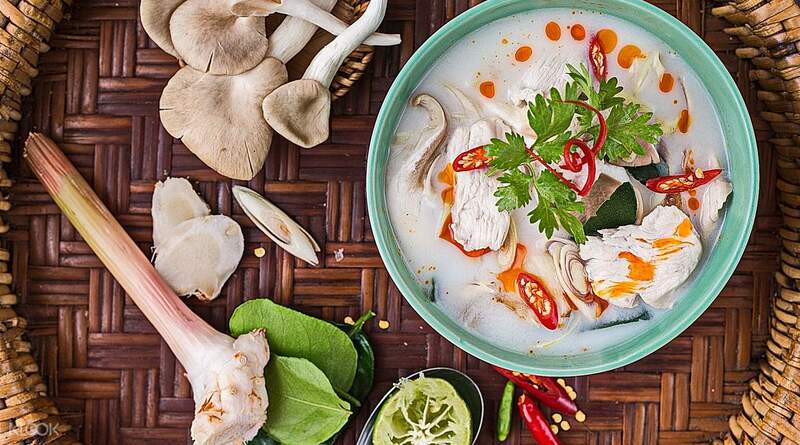 Travel back home with new skills to impress family and friends: learn how to make a variety of traditional curries, Pad Thai, crunchy spring rolls, the famous Tom Yum Gong, signature Thai stir fries and delightful desserts like mango with sticky rice and deep fried bananas. Each package option is complete with a convenient hotel pick up and drop off and an exciting market tour to shop for the freshest ingredients. Absolutely amazing! I did this activity two years ago and it was brilliant then but it has improved so much!! The cooking area is now enclosed with glass doors and windows and they now have air conditioning. The views from the kitchen are just gorgeous 👌🏻 The market tour before the class is so interesting and very informative 10/10 👍🏻 This time I came prepared with plastic containers to take all the food back to the hotel as there is so much to eat it is impossible to eat it all in one sitting. But they now provide take away containers for this purpose which is fantastic. The academy has obviously taken on board previous feedback and I applaud them for the changes made. Our teachers Kristina, Cream & Kitty were absolutely amazing and spoke excellent English. They are very skilled at their craft and are just beautiful people inside and out. Thank you for making it such a fantastic experience that I was finally able to share with my Mum and 17 year old daughter. Absolutely amazing! I did this activity two years ago and it was brilliant then but it has improved so much!! The cooking area is now enclosed with glass doors and windows and they now have air conditioning. The views from the kitchen are just gorgeous 👌🏻 The market tour before the class is so interesting and very informative 10/10 👍🏻 This time I came prepared with plastic containers to take all the food back to the hotel as there is so much to eat it is impossible to eat it all in one sitting. But they now provide take away containers for this purpose which is fantastic. The academy has obviously taken on board previous feedback and I applaud them for the changes made. Our teachers Kristina, Cream & Kitty were absolutely amazing and spoke excellent English. They are very skilled at their craft and are just beautiful people inside and out. Thank you for making it such a fantastic experience that I was finally able to share with my Mum and 17 year old daughter. It was a straight forward and fun experience! King, Christine, and the driver were courteous, professional and concise. In a nutshell, the format of the cooking class is as follows: - ingredients of the chosen dishes are prepared in advance for us. - we then process the ingredients, chopping etc. - follow the chef’s instructions on cooking and plating them. - take some pics and eat! We definitely enjoyed ourselves, and by the end of it, bellies were full! It was a straight forward and fun experience! King, Christine, and the driver were courteous, professional and concise. In a nutshell, the format of the cooking class is as follows: - ingredients of the chosen dishes are prepared in advance for us. - we then process the ingredients, chopping etc. - follow the chef’s instructions on cooking and plating them. - take some pics and eat! We definitely enjoyed ourselves, and by the end of it, bellies were full! The pick up bus arrived on time get us at our hotel. The staff was professional and friendly. The market tour was lovely, it fully reminded me of home. The cooking class was well organized and everything was properly laid out for all of us. We were greeted with a surprise snack and cool beverage. They also offered water throughout the class free of charge and a cooler with beer, wines etc at a cost, to be paid at the end of the class. The class vibe is very good and so is the view. The food you prepare is way too much for one person. The certificate at the end was a nice touch. The pick up bus arrived on time get us at our hotel. The staff was professional and friendly. The market tour was lovely, it fully reminded me of home. The cooking class was well organized and everything was properly laid out for all of us. We were greeted with a surprise snack and cool beverage. They also offered water throughout the class free of charge and a cooler with beer, wines etc at a cost, to be paid at the end of the class. The class vibe is very good and so is the view. The food you prepare is way too much for one person. The certificate at the end was a nice touch. Had great fun ate Phuket Thai Cooking Academy. Friendly people whom brought us around the market and introduce us to the local sights and sounds. Very patient teacher-chef who taught us traditional Thai style home cooking. Very pleased that we learnt how to cook many dishes. Fantastic hospitality! thank you! 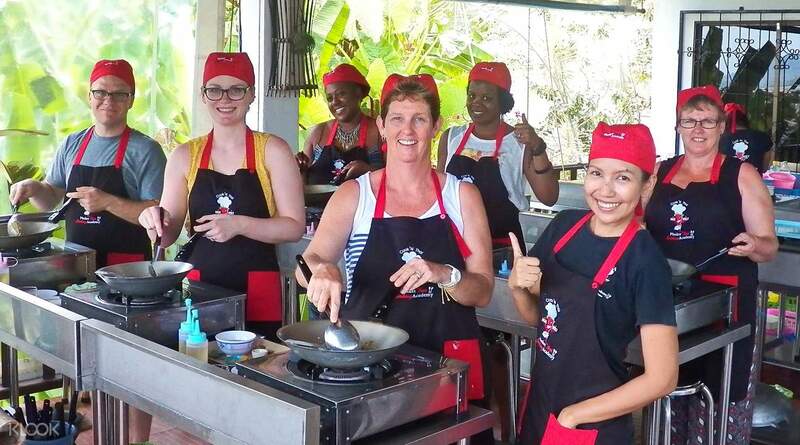 Had great fun ate Phuket Thai Cooking Academy. Friendly people whom brought us around the market and introduce us to the local sights and sounds. Very patient teacher-chef who taught us traditional Thai style home cooking. Very pleased that we learnt how to cook many dishes. Fantastic hospitality! thank you! transfers were very comfortable and on time. class was very engaging and fun, we had a lot of fun and was filled up to the brim. each person has to cook 5 dishes (half day) and that meant 2 of us had to eat 10 dishes, it was crazy. The recipes were Yums and I will not hesitate to recommend to everyone on KLOOK. teachers were friendly and had loads of patience. transfers were very comfortable and on time. class was very engaging and fun, we had a lot of fun and was filled up to the brim. each person has to cook 5 dishes (half day) and that meant 2 of us had to eat 10 dishes, it was crazy. The recipes were Yums and I will not hesitate to recommend to everyone on KLOOK. teachers were friendly and had loads of patience. Tour guide is very nice and she took us around the market and showed us different types of ingredients. Instructor is very helpful. She explained step by step patiently. Highly recommended. Tour guide is very nice and she took us around the market and showed us different types of ingredients. Instructor is very helpful. She explained step by step patiently. Highly recommended. Really really good and funny, but can we have the websites for collect the memory photos? Thank you very much!! Really really good and funny, but can we have the websites for collect the memory photos? Thank you very much!! We checked and it was cheaper to book the class via klook. The class was fun and interesting but probably more suited for real beginners. We were brought to a local Market and shown various vegetables and meats that is commonly eaten by the locals. We were fortunate that it was just a small class and almost everything is prepped and ready. Small amount of prep work is required. Unfortunately, there was no detailed instructions on how the basic pastes are prepared. We checked and it was cheaper to book the class via klook. The class was fun and interesting but probably more suited for real beginners. We were brought to a local Market and shown various vegetables and meats that is commonly eaten by the locals. We were fortunate that it was just a small class and almost everything is prepped and ready. Small amount of prep work is required. Unfortunately, there was no detailed instructions on how the basic pastes are prepared. It was great experience to cook with my boyfriend. First, we go to the local market to visit. The staff will introduce about the local culture and food. During the cooking time was fun, teacher will guide you to do everything. The only thing is not enough time to enjoy the food after our cooking time. Overall is beautiful. It was great experience to cook with my boyfriend. First, we go to the local market to visit. The staff will introduce about the local culture and food. During the cooking time was fun, teacher will guide you to do everything. The only thing is not enough time to enjoy the food after our cooking time. Overall is beautiful. Trainer was professional. Easy to prepare, very easy to eat. The trainer made food preparation effortless. Would reconmend to beginner and intermediate but also to expert if wanting to learn new cuisine. Trainer was professional. Easy to prepare, very easy to eat. The trainer made food preparation effortless. Would reconmend to beginner and intermediate but also to expert if wanting to learn new cuisine.